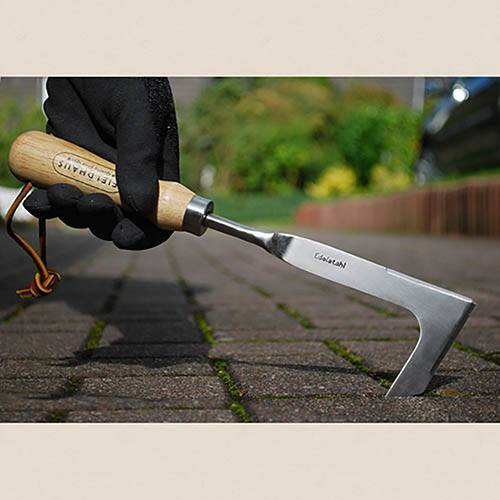 A really handy tool that is perfect for removing stubborn weeds and moss from between paving stones, flagstones, paving bricks and more! The flat blade has been forged into shape from the round steel material which forms the handle. The sharp edge of the blade is extremely useful for slicing through overgrown grass edges, moss and weeds. 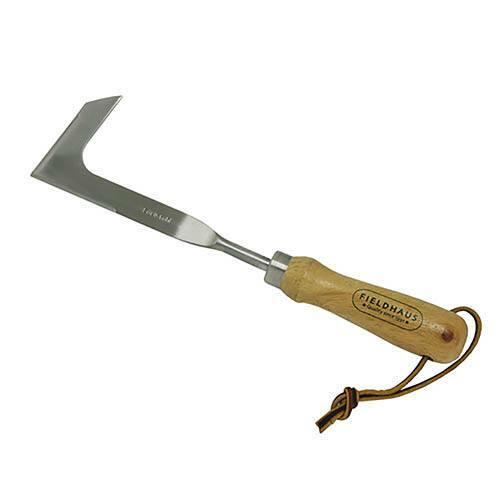 The hooked end is used to clear the straight joints of flagstones and paving. This attractive tool is made from strong, durable stainless steel, with a comfortable wooden handle, and an attractive leather strap for easy hanging. Supplied as 1 Fieldhaus Stainless Steel Patio Knife.